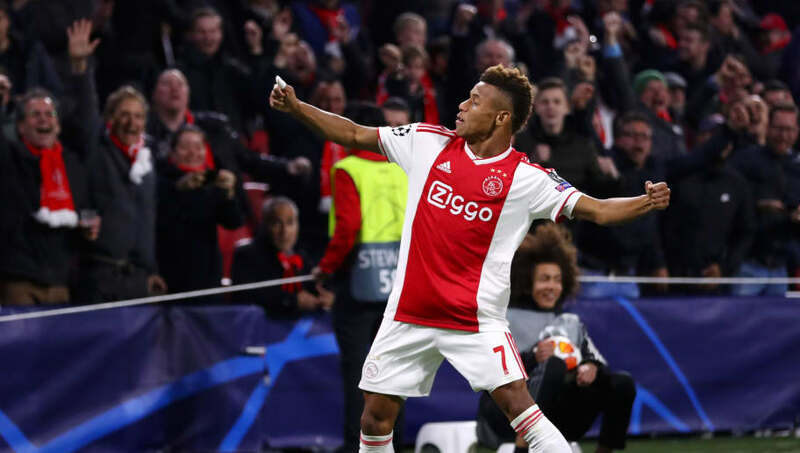 ​Ajax starlet David Neres is being tracked by a host of Premier League sides, including Arsenal, Everton, Chelsea, Liverpool and Manchester United. According to the ​Telegraph, this has naturally led to some sincere interest from around the Premier League, with both Arsenal and Everton holding talks with the Brazilian in the hopes of landing him this summer. As of yet, ​United and ​Chelsea are just monitoring the 22-year-old, though the Blues can't get too involved until they find out the fate of their appeal against the one-year transfer ban they were handed by FIFA earlier this year. And, ​reports on Wednesday widened this field even further, with both ​Liverpool and Paris Saint-Germain tracking the youngster as well, ensuring an entertaining bidding war this summer. However, of the two clubs already engaged in talks with him in England - the ​Gunners and the Toffees - it is the north Londoners who may have the upper hand, with Marco Silva's side prioritising the purchase of current Barcelona loanee Andre Gomes. Gomes has garnered plenty of attention for his impressive showings this term, and it is understood that Tottenham are interested in placing a €30m bid this summer. Of course, the ​Merseyside club will be handed the opportunity to bid for the Portuguese midfielder at the summation of his loan, but that is only half the battle, and it is unknown where he sees his future.